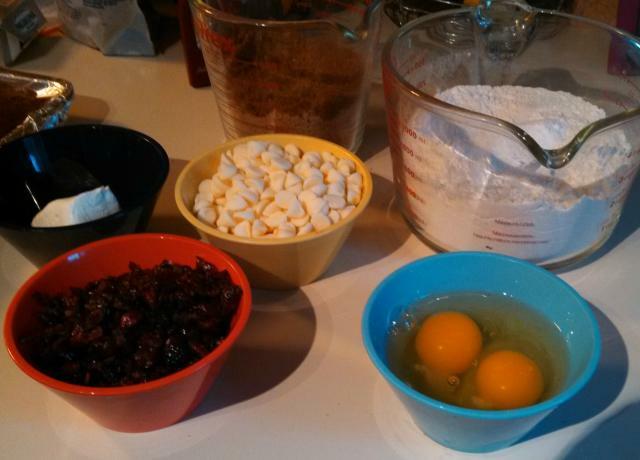 Last year I made Cranberry Bliss bars, so this year I opted to make a cookie version instead and they are Amazing!!! 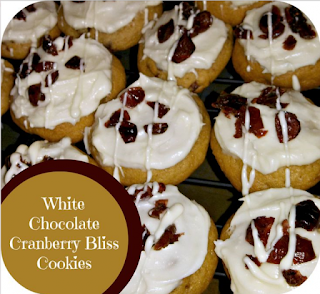 These are now a definite addition to the cookie trays every Christmas! Even my kids fell in love with these cookies! Using an electric mixer on medium-high speed, beat the butter, cream cheese and sugars together until fluffy, about 2 minutes. Add eggs and vanilla. Then slowly add in the dry ingredients. Mic until well-combined. 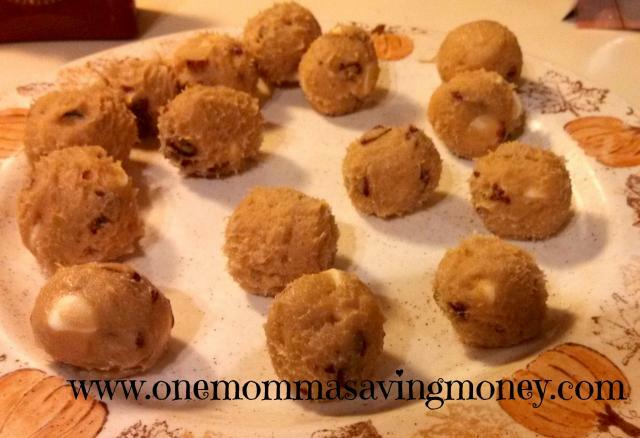 Fold in the white chocolate chips and cranberries, and mix until just-combined. Refrigerate dough for 1.5-2 hours. Then place dough by rounded tablespoon-fulls onto a baking sheet that has been lined with a silicone liner or parchment paper. Bake for 10-12 minutes, or until the cookies are lightly golden around the edges. Beat cream cheese and butter together until smooth. Mix in powdered sugar and beat until creamy. Mix in melted white chocolate. Sprinkle the frosted cookies with the chopped dried cranberries. I serve these chilled, so I store them in a Tupperware container in garage since it is so cold outside!